Perhaps the biggest electoral difference, however, is the increase in partisan competition for control of the chambers of Congress since about 1980. The electoral fate of individual senators has also become more closely tied to national political forces, decreasing their individual incentives to work with members of the opposite party. In 2016, for example, no state with a Senate election chose a senator of one party while giving its electoral votes to the presidential candidate of the opposite party — the first time this occurred since the advent of popular election of senators in early 20thcentury. Voters, in other words, are not splitting their tickets at the same rate they once were, which means that senators have less of an incentive to try to formulate the kind of independent brand that would involve working across party lines. Perhaps the biggest electoral difference, however, is the increase in partisan competition for control of the chambers of Congress since about 1980. As political scientist Frances Lee has documented, the period between the early 1950s and the early 1980s was dominated in Congress by Democrats — the party controlled both chambers, and Republicans in one Congress did not have a reasonable expectation that they would take control after the next election (in the following Congress). Since about 1980, however, majority control of the Senate has been more or less up for grabs each election cycle. Because of this heightened competition, both parties in the Senate have an incentive to engage in more messaging activities that help them win elections over messaging that helps them legislate. This is especially true for minority parties, who have little incentive to make their majority party opponents look like capable legislators. [W]e have also seen growing incentives from outside the chamber for senators inside the chamber to exploit all of their individual procedural rights to try to achieve political goals. But to potentially fix the chamber moving forward, we need to ask hard questions about whether individual senators really want to regain more power over the process, and if they got it, whether they would actually use it to do the hard work of legislating. These broader political circumstances have also made it more difficult for senators of both parties to unite as a counter-balance to executive power. In the early 1970s, we saw several high-profile pieces of legislation — like the Congressional Budget Act and the measure creating the Senate Intelligence Committee to oversee certain executive branch activities — pass with large, bipartisan majorities. 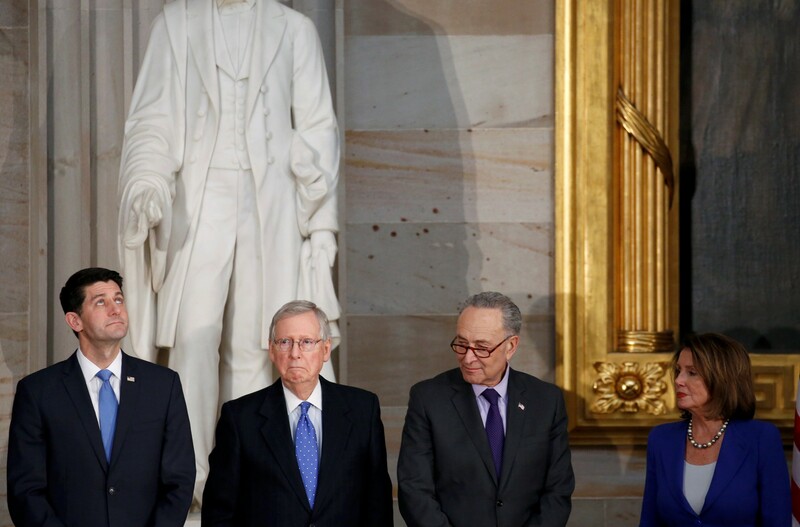 This cooperation occurred, in part, because senators from both parties saw a reason to work together to increase the legislative branch’s power at the expense of the executive branch. As the president has become an increasingly polarizing figure in American politics, however, it can be more difficult to build support for an issue on institutional grounds. Even matters that might be ripe cross-partisan coalitions can be harder to address if the president is too closely identified with them. In 2015, for example, when President Obama was lobbying Congress on fast-track trade legislation, Republican congressional aides asked the White House to stop requesting that Congress “give” him the authority to negotiate trade agreements. They did not want to be seen as “giving” a Democratic president any special powers. This post originally appeared on brookings.edu on February 21, 2018.